• NEVER PAY TO HAVE YOUR APPLICATION CONSIDERED. ANY CALL REQUESTING PAYMENT FOR ANY REASON IS A SCAM. 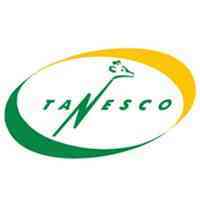 IF YOU ARE REQUESTED TO MAKE PAYMENT FOR ANY REASON PLEASE CONTACT OUR COMMUNICATION OFFICE THROUGH 022-2451130/38, info@tanesco.https://www.ajiraleo.com/co.tz or communications.manager@tanesco.co.tz.